A monarch representing Libyan unity could be placed on the throne, but who? When Colonel Muammar Gaddafi was killed on October 20, in his native Sirte, 42 years of sheer mediocrity came to an end as Libyans sought to rejoin the concert of nations. Importantly, while the September 1, 1969, military coup that abolished the monarchy was too distant in the past for many to recall what was there earlier, the anti-Gaddafi National Transitional Council (NTC) revived the flag of the Kingdom of Libya on February 17, this year. The latter, which was formally adopted with the introduction of the 1951 Constitution, replaced the Jamahiriyyah uniform green flag. To be sure, the "Guide of the Revolution" replaced the 1951 constitution with a fancy ideology, which pretended to establish the Third International Theory that was formulated in his opus The Green Book but that failed to take root outside of his imagination. The "Brother Leader" even fancied a post-Sanussi nation, although a third of Libyans continued to identify with the movement in 2011. For all his entertaining escapades that earned the country near unanimous scorn, Libyans abandoned the "King of Kings," even if few settled on a restoration of the monarchy. This year, two contenders to the Libyan throne emerged, although only Prince Mohammad Bin Hassan Al Sanussi could legitimately claim it. The second son of the last Heir Apparent to rule in Tripoli, King Idris' great nephew faced opposition from Idris Bin Abdullah Al Sanussi, "the second son of the sixth son of the second son of the younger brother of King Idris's father," according to Debrett's Peerage, an institution that tracked royalty. In the event, while the two men advanced competing privileges, neither received NTC accolades. Still, Mohammad Al Sanussi spoke publicly in support of the protesters that rose against Gaddafi, not only expressing admiration to those who gave their lives to free the country from dictatorship, but also to praise their heroism against Tripoli's brutality. In late February, Mohammad Al Sanussi spoke to Al Jazeera English channel when he called upon the international community to help remove Gaddafi from power, dismissing the propaganda spread by the "Dean of Arab Rulers" that Libya would be immersed in a civil war as a figment of the Colonel's skewed vision for his land. Prescient in his assessment that "the Libyan people and the tribes have proven they are united," Mohammad Al Sanussi believed that a new government could revive the 1951 royal constitution, although he wished to wait until the country was fully liberated. The prince did not rule out a return to Libya, insisting that "the Sanussi family considered itself to be in the service of the Libyan people," which fuelled speculation that he favoured the reestablishment of the monarchy. Unlike his distant cousin Idris Al Sanussi, Mohammad Al Sanussi declared that he was "a servant of the Libyan people, and that they would eventually decide what they wanted for the country." For his part, and also in February, Idris Al Sanussi announced that he was "ready to return to Libya" during an interview with CNN's Piers Morgan. At the time, the self-styled "Prince" was discussing the uprising, reportedly with US Government officials too. Whether reports that French and Saudi officials contacted him were impossible to verify. Irrespective of such claims, and despite an effort to create a "restoration of the monarchy movement" in Benghazi, few Libyans were ready for such a shift. Although the flag and the national anthem were restored, senior NTC officials failed to declare whether a politically active monarchy was in their plans. To be sure, a monarch representing a living symbol of Libyan unity could be placed on the throne, but would Mohammad Al Sanussi accept to be a simple figurehead? It was difficult to envisage the NTC abandoning its "Vision of a Democratic Libya," which will introduce "free and fair parliamentary and presidential elections" —strong hints that the future was for a republic. 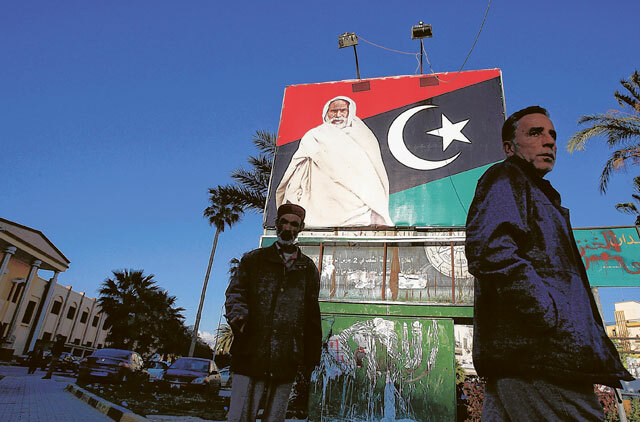 In the event, a referendum may decide matters, although such a route was sure to be controversial, pitting Libyans in the East against Western Libyans, who were imbued with revolutionary zeal. Dr. Joseph A. Kechichian is a commentator and author of several books on Gulf affairs. The Sanussi Movement was founded in Makkah in 1837 by Saeed Mohammad Bin Ali Al Sanussi as a Muslim political-religious order whose goal was to revive Islamic thought. Influenced by Salafi ideas, Sayyid Al Sanussi espoused Sufi traditions to strengthen its spiritual values, but gained nationalist credential in North Africa as he opposed French and Italian colonialism. From 1902 to 1913, Sanussi believers fought French expansion in the Sahara, and Italian incursions in Libya after 1911 when Rome defeated Ottoman forces. 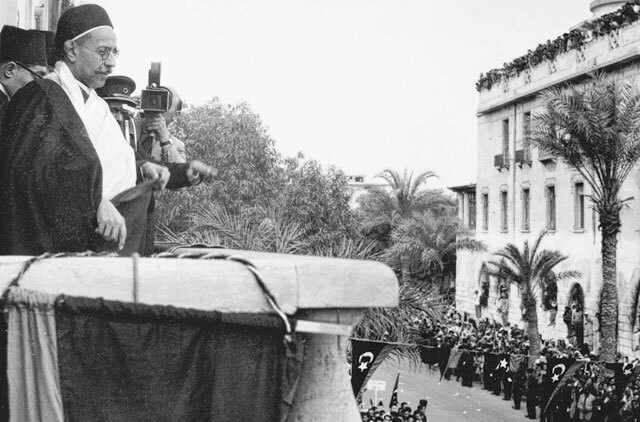 In 1922, Benito Mussolini, the Fascist leader who seduced Italians into the foolish grandeur, launched his infamous "Riconquista" of Libya — ostensibly to regain control over Roman lands lost nearly 2,000 years earlier. Led by a genuine patriot, Shaikh Omar Al Mukhtar, the Sanussi resistance opposed Italian occupation until 1943, at an immense human cost hovering between 250,000 and 300,000 lives. Saeed Al Sanussi inspired many, including Omar Al Mukhtar, to love the movement and the land. The pious Saeed rejected Egyptian scholarly enterprises. Mohammad Al Sanussi (Saeed Mohammad Al Rida Bin Saeed Hassan Al Rida Al Mahdi Al Sanussi) was born in Tripoli on October 20, 1962, the son of Heir Apparent Hassan Al Sanussi and of Crown Princess Fawzia Bint Taher Bakr. As the designated successor of the Libyan monarchy's last heir apparent, Prince Hassan Al Rida Al Mahdi Al Sanussi (1928-1992), Mohammad Al Sanussi remains the legitimate heir to the Al Sanussi House of Libya even if a rival claim is advanced by his distant cousin Idris Al Sanussi. In the aftermath of the September 1, 1969 military coup, which ushered in Colonel Muammar Gaddafi to power, Mohammad Al Sanussi and the rest of the family were placed under house arrest. He was "tried" by the Libyan People's Court in November 1971 and sentenced to three years in prison. In 1984, the house where they lived was destroyed on orders from the "Guide of the Revolution," as the family sought shelter in a beach shack. Hassan Al Sanussi survived on handouts for several years but suffered a stroke in 1986 while Mohammad Al Sanussi worked as a low-ranking employee at the Ministry of Agriculture. In 1988, the entire family was allowed to travel to Britain, ostensibly so that Hassan Al Sanussi could receive medical treatment though, in reality, because Gaddafi wished to expel the last surviving "royals." Hassan Al Sanussi died in 1992 after he designated his second son, Mohammad Al Sanussi, as his successor. The unmarried Mohammad Al Sanussi attended university in Britain and was involved in various business activities. Born in Tripoli in 1950, Al Keeb belongs to a prestigious family from Sabratha, a coastal town 70 kilometres west of the capital. He trained as an electrical engineer in the US in the early 1980s, teaching at science faculties there, at Tripoli university and in the UAE, where he worked for the state-run Petroleum Institute. His profile on the Petroleum Institute's website also lists links with a number of international professional bodies, from the South Korean Institute of Electrical Engineers to the Islamic Development Bank. In 2005, he founded the International Company for Energy and Technology in Libya.